Unfortunately and ironically, this quote has become a cliché now. However, Tim Chung works hard to make it a reality. He comes from an education background into the Real Estate Industry with one commonality of listening. Chung believes in listening to the client and using the information gathered in order to come to a concise and necessary conclusion. 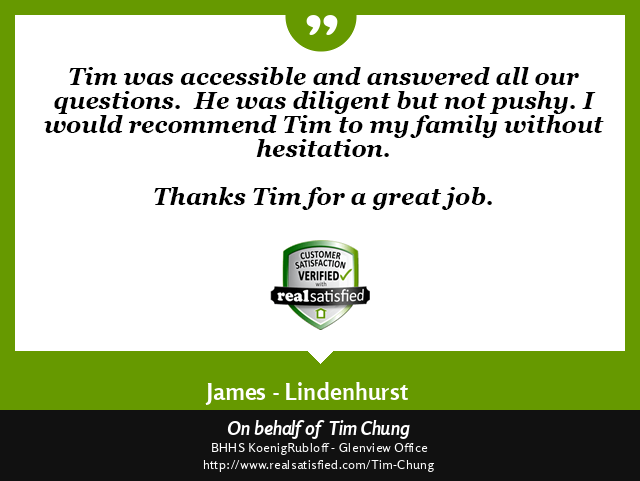 Throughout Tim’s prior work experience there is the common thread of helping and counseling the client. He is drawn to where he is able to help. His strengths as a realtor and person are his friendliness, care and calm disposition. He uses these strengths to change the sometimes stressful process of buying or selling one’s home into an enjoyable experience for all parties involved. Tim Chung has lived in the Northeast, Midwest and Western areas of the United States, as well as spending time in Southeast Asia.